I have a lovely 1980 un-ringed logo fat boy which I dug out yesterday to pop on a new Steveo para for a bit of wrist time but to my annoyance the watch had stopped. I have popped a battery in and alas it seems the problem is terminal. So, questions questions, is a replacement movement easy to lay my hands on and any recommendations as to who could fit it. If it was mine I would definitely get it sorted as they are quite valuable now. I believe it has an ESA movement that is quite hard to get now, however I understand that there is an ETA that can be used. I suspect it is quite a simple job. However I know nought about such things so I would go to an expert. The first reference on Olivier’s ON Atelier site is ‘CWC G10 Fatboy1980 Military Watch ESA 536.121- Service’. Andrew Leftley at WorldTimeServices replaced a quartz movement on a later CWC for me. Both Olivier and Andrew are excellent as are other watch repairers featured on the forum. Sometime they need a little clean and lubrication and the start ticking away again. If you're going replacement movement route then ISA 1198 would be your best non original option, shares same dimensions. The original G10 fat boy was fitted with an ESA 536.121 whose hand hole sizes are 1.5/0.9/0.25 with a stem height of 2.25 mm. These are the same as the ETA 2836-2 but as far as I know the only direct drop-in modern quartz replacement is the ISA 1198 which is the same size, has the same stem height but has hand hole sizes of 1.5/0.9/0.2. Consequently, your existing seconds hand won't fit. As someone else in this thread observes, the original fat boy is becoming quite valuable now and so you would probably be better advised to get the existing movement serviced. That should be straightforward unless either the circuit or coil is damaged in which case you may then need to look for replacement parts or a complete replacement 536.121. 1980 was the transition year from mechanical to Quartz with both types being produced in this year. The last mechanical's supplied by CWC (approx 1800) were against an Army contract so do carry the W10 prefix to the NSN. However as you say the Quartz don't have a Service prefix, so I can only assume they were like the much later Pulsar a tri-service contract, with the Army, Navy and RAF being asked to try out this 'new technology'. My thoughts on it anyway. I've taken quite a few CWC G10s into Silvermans over the years to be serviced or repaired and they have always done a great job for a reasonable price. Just a suggestion - but if you ring them and ask to speak to Richard, he may be able to help. He's always been very helpful with regard to CWC repairs and services. It may be that he cannot help you with an older model G10 but may be worth a try. PS; Just joined the forum having being reading threads for a number of years. There is some great stuff on here with some very useful information on some truly great watches. 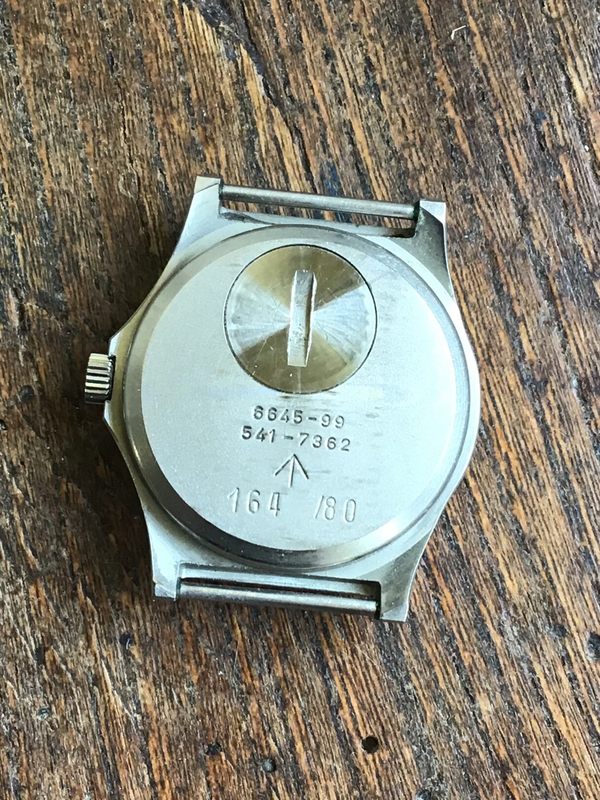 Please could I ask Your opinion Guys?I have a W10 1983 CWC.It has a non working 947.111 movement in it.What would be a good replacement movement? 947.111 movements seem hard to get now so I wondered if there is an alternative? Top Man Billy!!! I’ve been trawling the bay of e for bloody ages for one of them!!! 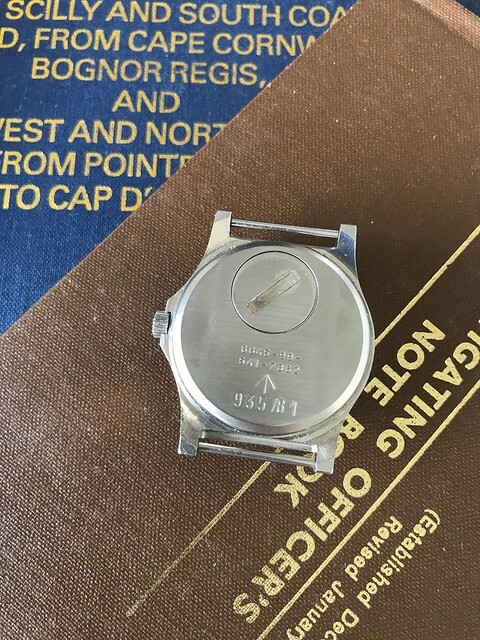 I've a 1981 CWC Fat Case Navigator with the ESA movement. These movements are very difficult to find, now, and when mine had a battery leak, I couldn't find a replacement movement. There is an option to switch to a mechanical - I'm afraid I can't remember which - but I wanted to keep it original as possible, so opted to have it serviced. This necessitated, IIRC, replacement of one of the electronic components, though the mechanical bits still worked fine. Overall, it cost quite a bit to bring it back to life but it's running fine now, 34 years after it first came into my hands. The second hand still hits the markers, spot on, too. And, as you can see, the NSN starts 6645, despite being Royal Navy issue. Last edited by HappyJack; 22nd March 2019 at 07:39. I think all the NSN's start 6645, the 0552 for Naval designation would come before the 6645. Anyone able to confirm ? As far as I'm aware none of the Fatboy Navigators carried a service prefix to the NSN; I have examples from 80 and 82 and both just have the NSN, S/N and date. Only fatboys to carry the Royal Navy 0552 code were the the last two or three hundred standard CWC G10's manufactured under the 1982 contract. Not aware of any further Navigators being manufactured until 1994, where a very small number of new CWC G10's were converted by the manufacture but they had the RM 0555 prefix. A few more but total new build were supplied in 96 but again without a service prefix and the final ones were sent in 1997 but with the RM code making a reappearance; the 90's supply probably numbered no more than 200. In 1999 the tri-service Pulsar G10 entered service and the requirement for a separate watch with a date function effectively disappeared, although in 2007 a very very small contract for 200/300 Pulsars was placed, possibly by the RN and it could be suggested they were for navigation use (usual contracts were in the thousands). Either way, the CWC Fat Case Navigators are rather rarer than original Rolex MilSubs. I'd be surprised if any contract for Navigators - at least for Naval use - was very big. In the early 80's the RN had around 60 Frigates and Destroyers, each of which would have had 3-4 watches; probably 30 Minor War Vessels - minesweepers and patrol craft, which might have a couple; and half a dozen larger ships, which might have a few more- perhaps 4-5. Assuming that 25% - 30% of these were out of commission for deep maintenance, that's a total requirement for no more than 2-300 including spares. I think RAF pilots in multi-crew aircraft might have had the same watch whilst RAF Navigators and RN aircrew had chronographs. The S/N of my 82 suggests at least 1200 were produced but this was possibly consecutive from the first issue in 1980. 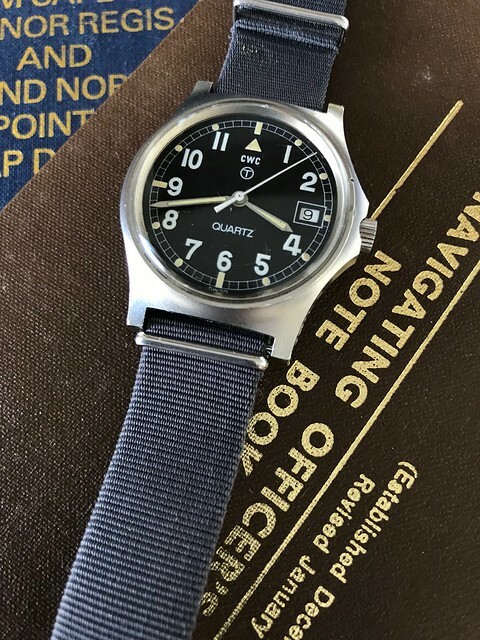 Regard RAF aircrew use, then maybe but I have a standard G10 I acquired from a former RAF winchman, who was issued it new in the late 80's which was from the 85 RN contract of over 15000 watches, so service codes don't guarantee who used them either. Given my 1981 is #935, that seems likely.